In its second year in business, Cork-based Sarah McCarthy joined Travel Counsellors Ireland. That was in 2006 when her son’s Frank and Danny were both young babies. 13 years later, she juggles raising three children and their fifteen different training sessions a week as well as a very successful travel business! Sarah has been one of the top performing Travel Counsellors globally for the last ten years. In 2018, Sarah and her family moved into their new home where she added a garden office which she feels has been such a fresh start for her, the family and the business. Listen to Sarah as she explains about when the kids were younger it was necessary for her to be in the house with them but now that they are older and more independent, she can head out to the back garden and work from her own space without having to check on them every few minutes. Sarah’s flexible work hours mean that she can also work around her children’s increasingly busy schedules and allows her to spend quality time with her family. 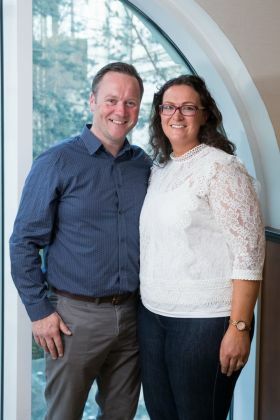 Being her own boss also means that Sarah can head off to their summer home in Kerry each summer, and her business can continue as normal from there.